ON HOLIDAY AND WANT TO HELP US? 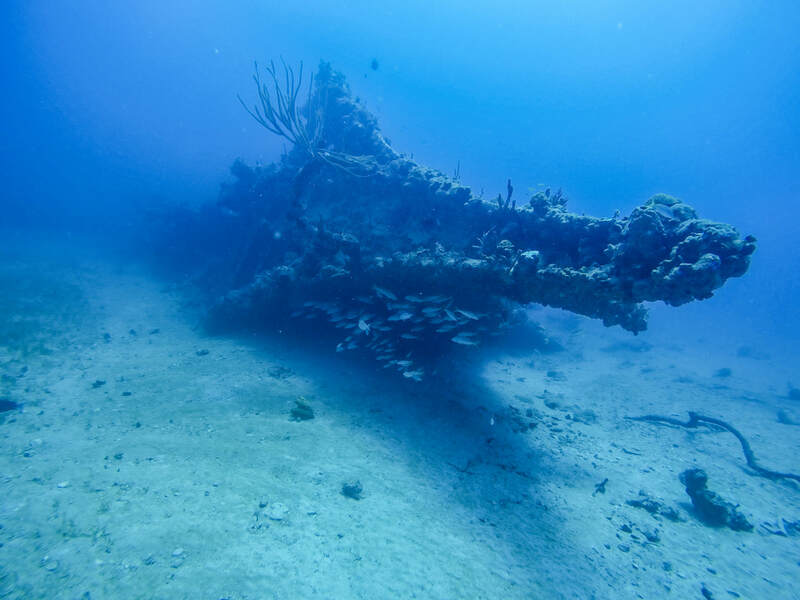 ARK's first chance to dive was on September 27th, just 3 weeks after Irma and we visited our coral nurseries, the Kodiak Queen and the wreck of the R. M. S. Rhone. 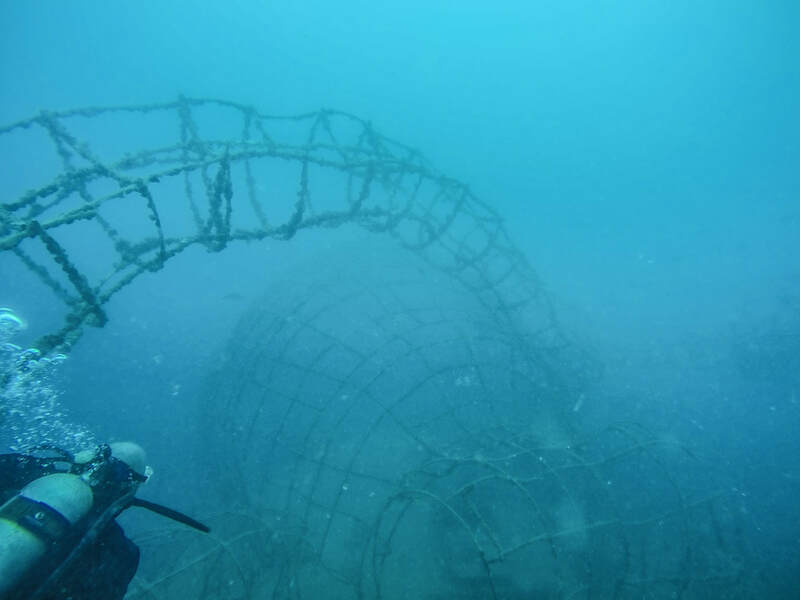 Our nurseries were completely destroyed but a huge thanks to both the Coral Restoration Foundation and Blue Force, we are getting new trees built and shipped for us to start over and begin rebuilding our reefs. However, we need to find healthy, intact staghorn and elkhorn corals to seed the nurseries. 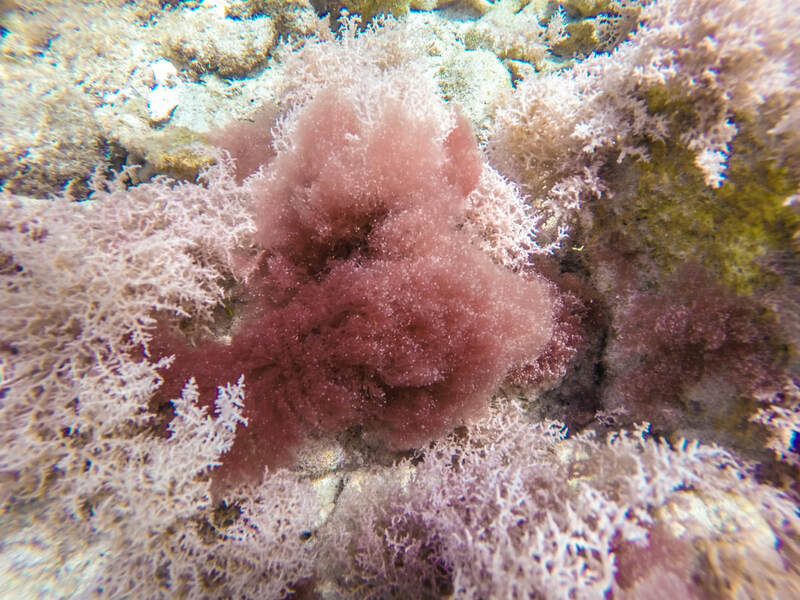 If you see this species of corals, please let us know the exact location. We know there has to be some left somewhere! Our nurseries once stood in a sand channel next to a vibrant reef. All that was left was coral rubble. Waves reaching over 40+ft during Irma left nearshore marine habitats with almost no protection from the violent scouring action on the seabed. The most fragile branching and soft corals didn’t stand much of a chance as they were ripped from the substrate. Additionally, debris removed from coastal development along the shorelines by storm surge and wind has left the shallower underwater world looking similar to what hillsides looked just after the storm - barren and littered with debris. However, with so many islands and bays, the orientation to intense incoming wave and wind energy from the hurricanes was variable and some reefs were partially protected. 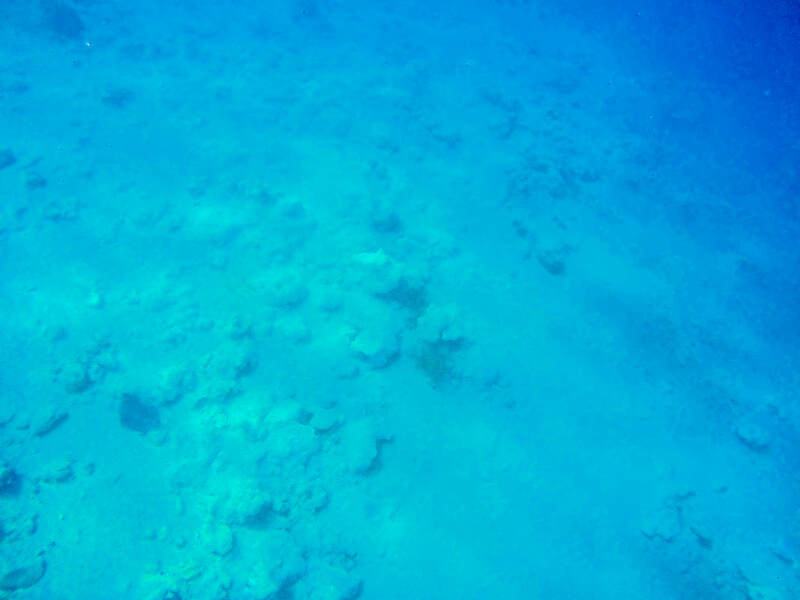 The deeper the reefs, the better their chances were to survive such powerful hurricanes. YOU CAN HELP US JUST BY SENDING US YOUR UNDERWATER PHOTOS!!! Be sure to include date & exact location (island, bay and GPS if possible)! Although the visibility was terrible, the Kodiak Queen was still upright and although the kraken structure was still attached, the meshing had been ripped off. The kraken still attached to the Kodiak Queen. 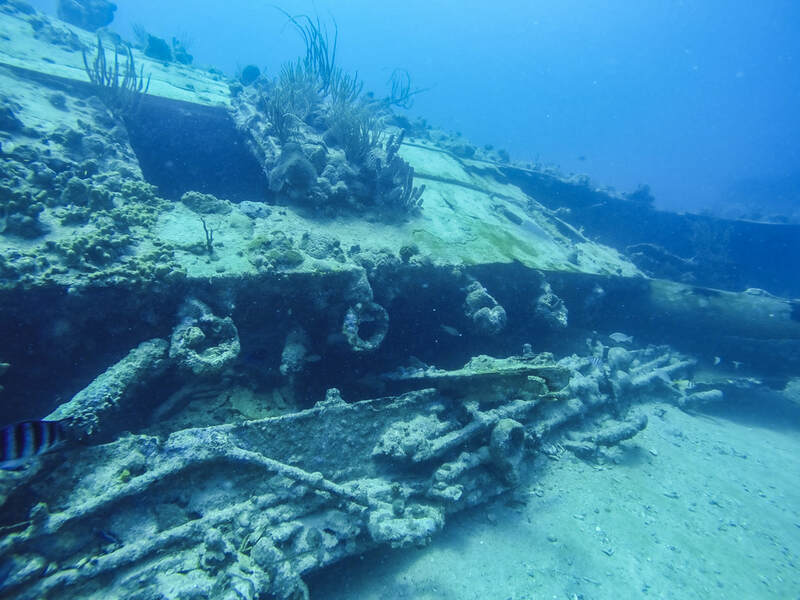 Having done two 'not-so-great' dives just before diving the R. M. S. Rhone, we were a little hesitant to jump in because we just knew the ship would have been damaged. But to our surprise, it was one of the most amazing dives. Visibility was crystal clear and sea life was teeming. 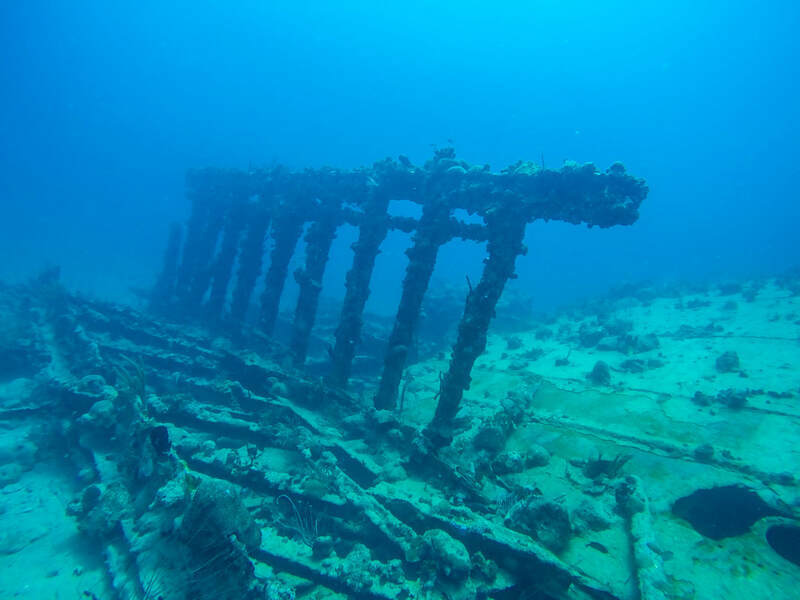 A few sections, including part of the bow did collapse, but the Rhone remains one of the BVI's most spectacular dive sites. The wreck of the R. M. S. Rhone - photos taken 27 September 2017. An impact that didn’t happen during the storms but about 5-4 weeks later was a red algal bloom composed of two different species: Liagora pedicellata (also called Trichogloeopsis pedicellata) and the Falkenbergia stage of Asparagopsis taxiformis (the darker purple in photos below). 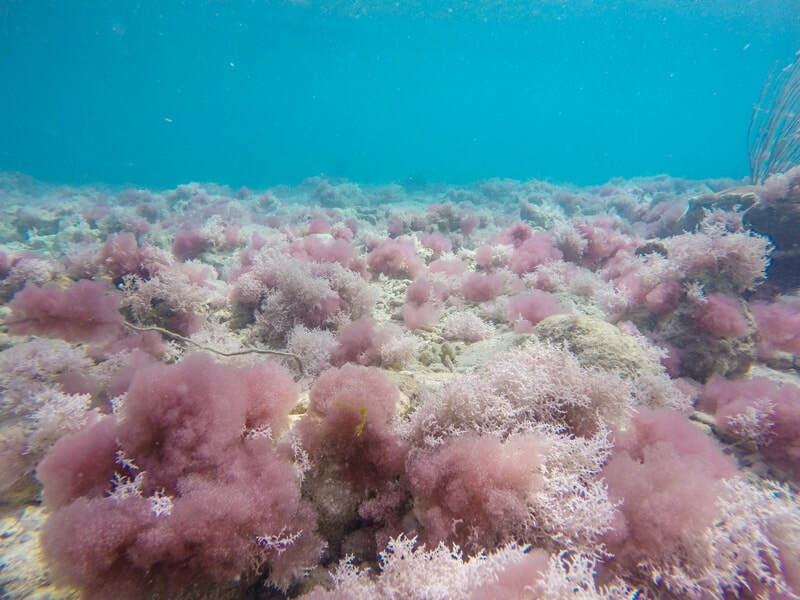 Not to be mistaken as a harmful algal bloom like red tide but nevertheless has a lingering impact on corals. It doesn’t appear because of runoff or increased nutrients in the water like most people would think, but extreme wave events trigger its mass reproduction. How long it lasts has yet to be seen but the longer the algae survives, the longer coral will not be able to recruit but in some cases, it has been documented to only last a few months. We want to know where it is and how long it may last. Please let us know all the locations you see it! We will be showing the impacts caused by Irma & Maria and any progress made to help provide "aid" and "relief" towards the islands’ natural resource infrastructure (ghuts, wetlands, mangroves, beaches and reefs). Some images will not be what you want to see because we need people to come back to the islands. However, we will not hide the reality of the impacts and ARK will be doing what we can to ensure the BVI rebuilds more resiliently.